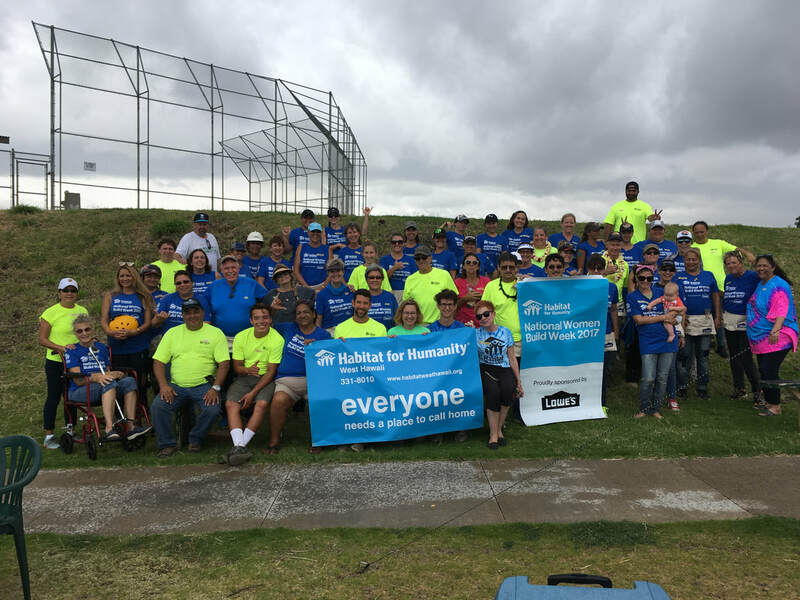 Habitat for Humanity Hawai'i Island had a fantastic year in 2017. We accomplished so much with our donors, volunteers, sponsors, partner families, and our community. Take a look at everything we were able to do together this past year! January 2017 - Golf tournament at the Exclusive Club at Hokulia in Kealakekua. We had 54 golfers and Habitat supporters get out on the green to raise money for our 2017 Blitz Build! It was a very fun event, and also raised almost $10,000 for our Blitz Build! February 2017 - We completed construction on four homes in Waikoloa Village that were a part of our Kamakoa Nui Affordable Workforce Housing Project with the County. On Saturday, February 25th, we handed over the keys and blessed these new homes with our partner families! May 2017 - On May 6th, we held our Women Build event in Waikoloa Village. Over 60 volunteers came out to work on our homes, most of them being women! Not only did these women work for a full day on two Habitat homes, they also raised over $5,000 for Habitat programs! 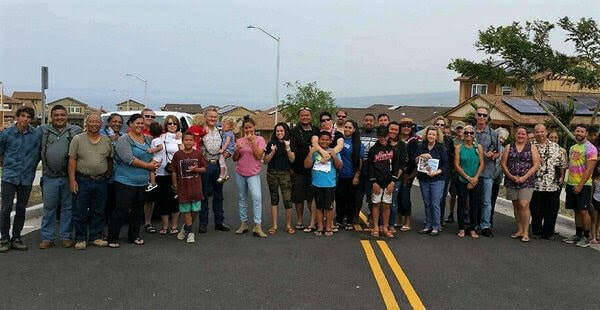 July 2017 - On July 1st of this year, Habitat for Humanity West Hawaii and Hale Aloha O Hilo Habitat for Humanity merged, creating Habitat for Humanity Hawai'i Island. We are now able to serve the entire Island, from Hawi to Southpoint, Kona to Hilo, and everywhere in between! With our resources merged, we hope to build 20 new Habitat homes each year across the island! 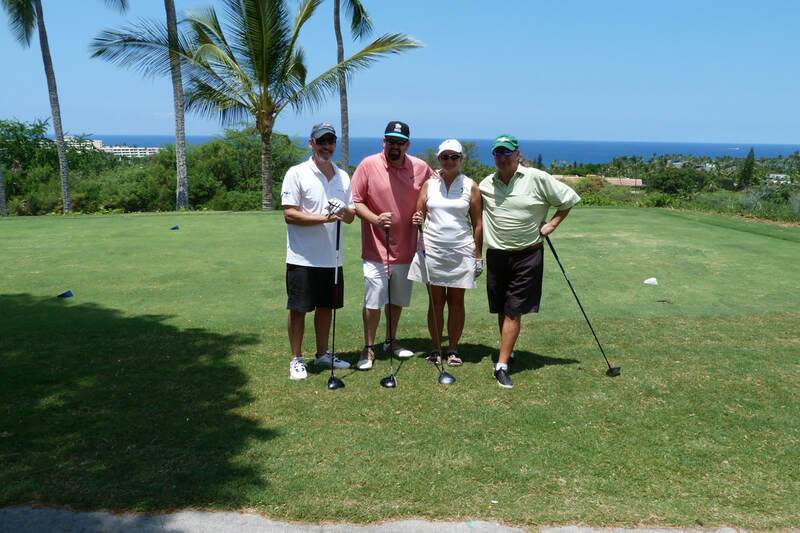 August 2017 - We held another golf tournament on August 5th at the Kona Country Club. This time we had just over 40 golfers join us on the green. We raised over $6,000 for the Blitz Build at this tournament, and again had a great time enjoying the beautiful Kona weather, while raising money for Habitat! September 2017 - Our 2017 Blitz Build was our biggest project to date, and it was a huge success! Between September 13th - 23rd, over just 10 days, we built 10 new Habitat homes in Kona! 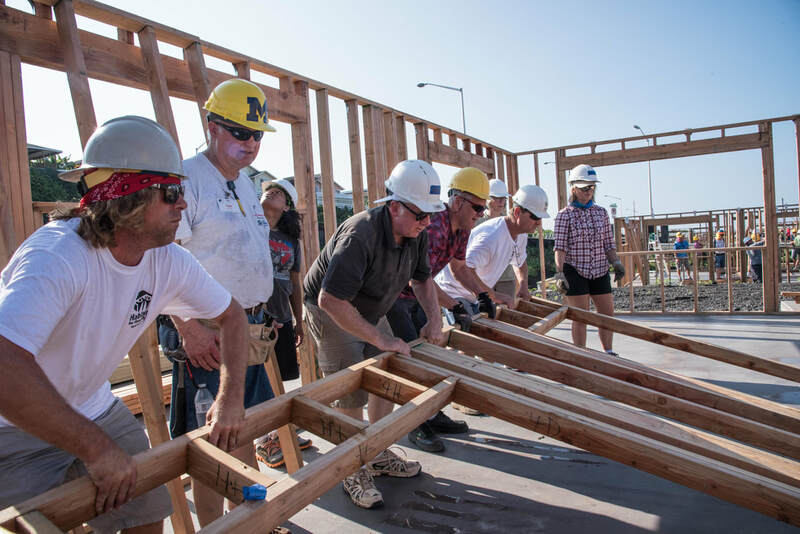 We had over 700 local and traveling volunteers that built these homes, and hundreds of individuals and businesses that donated funds and in-kind gifts to make the Blitz Build as successful as it was. You can take a look at all of the pictures from the Blitz here! November 2017 - After the homes built during the Blitz Build were finished, we had a special team come into decorate the rooms of the 16 children from our 10 partner families. The kids had previously drawn a design for what their "Dream Room" would look like, and with the help of a grant from Target, we were able to make those Dream Rooms come true! On Saturday, November 4th, we unveiled the rooms to some surprised and very grateful kids. Check out all the photos from this great day here! 2017 was a great year for us. Help us to make 2018 an even better year, with more families served by making a donation to Habitat for Humanity Hawai'i Island. Your donation goes towards helping families in our community to find safe, decent, and affordable housing! Help us build a world where everyone has a decent place to live! Every dollar counts, and no donation is too small!